Just Google or Bing the name “Guardian Jared E. Shafer,” and a very troubling scenario will unfold. Contained within the dozens of links are the untold stories of mostly wealthy Clark County, Nevada residents who have allegedly been “bleeding money” under the color of law simply because they are elderly or frail. A decade ago, I began reporting stories of wealthy senior citizens being exploited by a group of – what I consider to be – officially sanctioned leeches. World War II hero Guadalupe Olvera and his wife Carmela in 2003 moved from California to Del Webb Sun city Anthem in Henderson, Nevada. The couple was wooed by fancy brochures and promotional videos into purchasing a new 3000 square foot home for $436,524.00 cash where they lived until Carmela’s death in 2009 following a 63 year marriage. Because of an obscure Nevada law, Guadalupe, who was 90 at the time of his wife’s death, was not allowed to handle his own affairs or let his only child Rebecca Schultz become his legal guardian to tend to his move back to California and the sale of his Sun City house. Based on Mr. Olvera’s physical disabilities, under Nevada law, a “local guardian” was required to handle his temporary financial affairs because his daughter was not qualified since she lived in another state. Enter Jared Shafer of Professional Fiduciary Services of Nevada, Inc. (PFSN, Inc.). Shafer, who is in private practice, was recommended by a staff member in the office of Clark County Guardianship Commissioner Jon Norheim, even though public officials are not legally allowed to make such recommendations. Unfortunately, Schultz failed to do research on Shafer’s background before agreeing to hire PFSN, Inc. because she assumed the county’s referral would be trustworthy. Jared Shafer has not responded to numerous requests for his side of this story. Shafer’s “guardianship” was to only last a few weeks, time enough to settle Olvera’s financial affairs and list his house with a realtor. However, weeks turned into months, and Olvera became lonely for his daughter, granddaughter, and great granddaughter and wanted desperately to move back to California where he had lived most of his life. In the meantime, Shafer as guardian was given exclusive control of Olvera’s finances. It was soon discovered he was “bleeding money” from Olvera’s trust account at Wells Fargo while Olvera was retained in Henderson against his will. Upon learning of Shafer’s withdrawals from his trust, Olvera became infuriated, and In September 2010, directed his daughter to move him back to California and sever his contract with PFSN, Inc. Prior to Olvera’s directions to move him back to California, Rebecca and her friend Ruth Carney (a Nevada resident) had followed legal protocol and filed Motions at their own expense with the court to terminate Shafer’s guardianship, and that Schultz and Carney be appointed co-guardians, but their efforts were thwarted by the court. Like a scene from the movie “Misery” starring James Caan and Kathy Bates, this drama played out in Las Vegas Family Court. 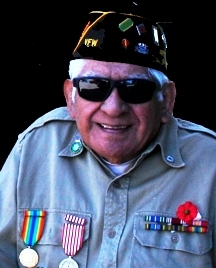 On Sept. 8, 2010, upon the insistence of his attorneys, then-91 year old WW2 veteran Guadalupe Olvera — wearing his Army uniform — was begrudgingly permitted to speak on the record. He had reportedly been forbidden from attending a previous court hearing. Clearly, Mr. Olvera clearly does not want Jared Shafer to be his guardian or to have anything to do with him. Although, the judge explains to Mr. Olvera that Shafer and his attorney are, “….looking out for you…they’re trying to do what you want…” when Mr. Olvera attempts to tell the judge exactly what he wants, Shafer’s attorney shuts him down. Just who exactly is Jared Shafer looking out for? Despite the detailed letter of complaint filed with Nevada Attorney General, Catherine Cortez Masto, regarding the exploitation and abuse of my father by Jared E. Shafer, Ms. Masto has refused to do anything to protect my father and other victims from the danger imposed by this professional guardian. There is no truth to Masto’s statement on her website that she will “continue to fight for legislation that protects the victims of domestic violence and senior abuse, and seeks to increase penalties on those who prey on the most vulnerable members of our community”. Her much delayed response to my letter of complaint on Jared E. Shafer was nothing more than a blow-off form letter, written by a staff member and referring us to agencies who have already been contacted and who will also do nothing to stop the unethical and illegal activities of Jared E. Shafer. Mr. Shafer and his cronies had indicated that Ms. Masto would NOT do anything since her deceased father, Manny Cortez, was buddies with Shafer and she will continue to whole heartedly protect her daddy’s old friends, no matter how criminal they may be. We found this to be absolutely true. Ms. Masto is THE biggest problem in Nevada and is directly responsible for allowing Jared E. Shafer, judges and attorneys in Las Vegas, Nevada to continue their abuse and exploitation of the elderly and disabled. Despite several letters and documents provided to CGC indicating vast malfeasance by Jared E. Shafer, including violations of CGC’s Standards of Practice and Code of Ethics, state and federal laws, CGC, after several months of supposed Professional Review Board meetings, completely exonerated Jared E. Shafer of any wrong doing. This was no surprise, as it had been leaked to us that it was all a sham. Denise Calabrese, Executive Director for CGC, led me to believe they were taking our complaints and documentation very seriously, but we now believe she never had any intention of removing Jared E. Shafer’s certification to practice and their was no review board. I have received no response to my requests for the minutes of these “review meetings”. Trust documents with duplicate billings by Jared E. Shafer as well as court hearing and transcript and video were among the evidence of malfeasance, yet Ms. Calabrese’s letter stated, “Due to a lack of independently verifiable evidence, the allegations were not proven by a preponderance of evidence.” This was an interesting response since the same documentation provided for this sham “review” was also provided to federal agencies, who, with great gratitude, welcomed this evidence. CGC is operating as an ACCOMPLICE, NOT as a LEGITIMATE ethical regulatory authority. CGC and Ms. Calabrese are directly responsible for allowing individuals like Jared E. Shafer to exploit countless victims. “This is the face of the Center for Guardianship Certification that backs the exploitation & abuse of Seniors by CGC’s Certified Guardians. Nearly $7500 for email for less than one month! Professional Fiduciary Services of NV, Inc.
I’m writing you this letter on behalf of my widowed 92 yr old father who fought in World War II. The purpose of this letter is to respectfully request CGC begin a full investigation to determine if Jared E. Shafer, former public guardian of Clark County Nevada, is qualified to serve as a guardian under your regulations and policies because our experience and documentation says he is not. Mr. Shafer has continuously abused my father by ignoring several court qualified medical and psychological reports, which declare my father to be competent and not in need of guardianship services. Mr. Shafer and his attorneys gleefully disregard these medical reports so they can continue to deplete my father’s estate. Mr. Shafer has told me and several other victim families he will create his own evidence and no one in Nevada will dare stop him. He insists upon running his practice in a manner that blatantly violates your key principles, which are dictated by the National Guardianship Association’s Standards of Practice and Code of Ethics. Mr. Shafer also violates Nevada state statutes on a regular basis along with my father’s constitutional rights. We have documented multiple breaches of fiduciary duty by Mr. Shafer. Unethical would be too kind of a word to describe his illegal practices and abuses. This letter will be posted on the website for the non-profit, National Association To Stop Guardian Abuse. Jared E. Shafer took over my father’s guardianship by lies, deceit and intimidation, not to mention bragging that the judges give him what he wants in return for his favor. We have several witnesses who are waiting to sign sworn statements confirming his bragging and his threats made against families who oppose his treatment of their relatives. For more than 2 years my father and I have been fighting to have Jared E. Shafer removed as guardian and to terminate the unnecessary and fraudulent guardianship of my father, which has deprived him of his pension, Social Security and military benefits. My father lives with my husband and me in California, but Mr. Shafer bills for a Nevada guardianship that he is not performing. Mr. Shafer, with the assistance of his attorney, Alan D. Freer of Solomon Dwiggons Freer and Morse, my father’s Wells Fargo Trustee (Eve Mills), and the Bank of Nevada, has depleted my father’s trust account from $466,000 to less than half of this value in 2 years. Mr. Shafer uses excessive, bogus and even double billings as weapons against families who believe their loved ones are entitled to humane treatment. A large percentage of these funds have been spent on Mr. Shafer’s attorneys who have bolstered Mr. Shafer’s fraud by lying about the condition of my father, slandering me with false documents, and by filing harassing oppositions to all motions we file to protect my father. When Commissioner Norheim or Judge Chuck Hoskin rules in their favor, Mr. Shafer laughs out loud at us in Las Vegas Family court for all to see. My father can’t sleep at night because he tosses and turns thinking about why he can’t enjoy his home and his assets, which he worked his entire life to acquire. He wants to retrieve my deceased mother’s personal possessions and his valuables, sell his house and buy one for himself in California so he can live next to his daughter and granddaughter. My father came back to California of his own volition 16 months ago. He is a California resident and citizen with a California ID. Before moving to Nevada dad lived in California over 50 years. The Veterans Administration and Social Security deem my father competent and are now sending him his money. We have multiple reports from doctors of my father’s competency from California and Nevada yet Mr. Shafer refuses to terminate the guardianship. He is not supporting or caring for my father nor is he concerned about my father. Oh, he tells people he is worried that “the daughter” is harming the father, but it is Jared E. Shafer who has exploited and abused my father. We have many people, including doctors, lawyers, the VA, Social Security, the VFW post, friends, neighbors, caregivers, a county court investigator and more, who all know the truth and are willing to testify to it. Jared E. Shafer has NOT acted in my father’s best interest. He uses another one of your certified guardians, Patience M. Bristol, to carry out many of his unethical and illegal practices. Ms. Bristol even told me she acts as Jared Shafer’s “front person”. When my father was in Nevada Mr. Shafer billed his estate for Ms. Bristol visiting him two or three times a month with amounts that averaged $2000 to $4000 a month for these 10 to 20 minute visits. I don’t know of any professional who is paid at this level of excessive compensation. Even though my father has been gone from Nevada well over a year, my father’s trust statements show thousands paid to Ms. Bristol AFTER he left Nevada. This waste of my father’s life savings was one of the many reasons he pleaded with us to be removed from this horrible environment created for him by Mr. Shafer. Mr. Shafer has done everything he possibly could to deny my father the right to be with his family. Even more distressing is Mr. Shafer took over the guardianship under the guise of helping me to get my father away from a low life exploiter who removed dad from his home after my mother died. Mr. Shafer and his attorney, Elyse Tyrell, promised me that his guardianship was temporary until they “saved” my father from this bad person. In reality we went from a low rent exploiter to a high end exploiter. I hired Ms. Tyrell to help my father but it turned out she was working for Mr. Shafer at the same time she was representing me. Tyrell’s deliberate actions took advantage of my father’s estate. Obviously this new testing criteria has not been in place before. This is very serious because if you checked on your guardians you would have found Mr. Shafer was involved not only in selling securities without a license but also that he was brought before the Nevada Commission on Ethics, making him improper to be anyone’s fiduciary. The person who was involved with Mr. Shafer in the ethics case was Ms.Tyrell. Ms. Tyrell did not disclose this fact to me prior to representing me, which is another breach of her disclosure duty. Research is now revealing that Mr. Shafer boasts of college degrees that do not exist. Currently we have been in touch with an Assistant U.S. Attorney, the FBI, the IRS and Social Security regarding the illegal practices of Jared E. Shafer. Investigations into his exploitation of Social Security funds and other major malfeasance are under way. National media entities have contacted us and it appears our case will be getting nation wide attention soon. I have spoken to several victims of Jared E. Shafer. They all state the same thing–he has plundered, exploited, slandered, committed fraud, kidnapped and caused the premature deaths of their loved ones. Hundreds, if not thousands of wards beginning in 1979 when he was a public guardian, have suffered. Marcy Dudeck is deceased now, thanks to Mr. Shafer’s extreme cruelty. People working for Mr. Shafer and Ms. Bristol kidnapped her from Sunrise Senior Living, a California facility near her daughter’s residence. Her son-in-law, Charles Pascal, can tell you much about what Mr. Shafer did to his mother-in-law. You will hear from Mr. Pascal soon. Mr. Shafer threatened him and his wife just as he did friends of ours that were helping us fight Mr. Shafer. I have spoken with the victims from the Williams, Passer and Moser families and heard of the terrible things Mr. Shafer did to their families and of his threats to them. It is also documented that Thomas Gaule suspected that Mr. Shafer killed his mother; she had suffered beatings in a facility he placed her in. My father is only one of the many, many victims of Mr. Shafer. Stealing the contents of my deceased mother’s purse-wallet, checkbook, credit cards, as well as missing items from dad’s home. Using Gamet & King, his fellow defendants in the Utah Securities case, to do my father’s tax return and at an excessive fee. Suspected Medicare fraud as my father received billings from Sundance Medical Center for visits he never made. We have 2 witnesses, in addition to my family, who were with my father during these false appointments; this was reported to Medicare and United Health Insurance. Curiously, other wards of Mr. Shafer’s have received similar billings from the same facility. Excessive and unwarranted billings for Ms. Bristol and himself even though my father has not lived in Nevada for the last 16 months. Allowing payments to my father’s Dish Network and Sun City Anthem Home Owners Community Association to be over due. The Sun City Anthem bill went to Red Rock Financial Services for collection, jeopardizing my father’s credit. Removal of over $10,000 in funds from my father’s estate to hire attorneys for himself in Los Angeles, CA, for the federal case he caused over my fathers CA carpenter pensions and removed over $12,000 for the Grunsky law firm in northern CA who unsuccessfully tried to enforce a mere bench warrant. Despite the removal of thousands of dollars from dad’s estate for his own attorneys for the CA interpleader, Mr. Shafer also DID NOT se to it that my father retained an attorney for the federal case in CA – he deliberately neglected my father’s legal needs. Complete failure to protect my father’s estate and doing everything in his power to NOT act in my father’s best interest, resulting in exploiting dad’s life savings and inflicting emotional and mental harm to my father. “ In addition, none of the certifying organizations verified our applicants’ fingerprints or discovered that the Social Security number used by one fictitious applicant belonged to a dead person. This creates the risk that people with criminal convictions could steal a Social Security number and conceal their pasts to become certified guardians. The certification organizations we tested also did not verify the academic and professional credentials submitted by our fictitious applicants. Our undercover tests call into question the ability of these state certification programs to effectively prevent criminals and individuals with bad credit from gaining control over the lives and assets of vulnerable seniors. Illinois and Nevada require certain guardians to obtain certification through the Center for Guardianship Certification (CGC), a private nonprofit that offers national guardian certification. We submitted applications to the organization using two fictitious identities with driver’s licenses from Virginia. We also listed fake educational and professional backgrounds for our applicants, which the certifying organization did not verify. For example, one applicant claimed to have a law degree and almost 3 years experience as a guardian, while the other claimed 3 years of experience as a guardian at a nonexistent guardianship firm. Both applicants studied for and passed the National Certified Guardian Examination, which covers guardianship ethical principles and best practices. After the exam, a proctor asked to see the photo identifications of our fictitious applicants, but failed to recognize them as bogus driver’s licenses. Once we passed the test, the names of our fictitious applicants were listed on the organization’s website as nationally certified guardians. Passing the national exam is the sole requirement to be a certified guardian in Illinois and Nevada. Officials in both states told us that local courts do not conduct background or credit checks, indicating that each of the two fictitious guardians could have been appointed by a court in those states with no further screening. The above report really clarifies what has happened to my father; he has become a victim of someone who should have NEVER been certified to act as a guardian and it is your responsibility to ensure something this terrible doesn’t happen to good, kind people like my father, a WW2 veteran who fought for our country. We would like to have faith in an organization like CGC to protect our families from becoming victims of guardians and conservators. Thus far we have seen that guardians have been allowed to run amok under the guise of “protecting” their wards. We are looking to CGC to IMMEDIATELY remove Mr. Shafer’s guardian certification because he is guilty of, but not limited to, major breach of fiduciary duty, financial exploitation, fraud, commingling of funds and causing severe emotional and mental abuse of my father. His employee and protégé, Patience M. Bristol, should also not be allowed to practice as she has operated in the same unlawful mode at the side of her employer, Mr. Shafer. She is listed as an Approved CGC Proctor for Nevada, which appears to be highly inappropriate. You will also be hearing from my father’s Nevada attorney, Carmine J. Colucci. I wish to request the State of Nevada file a series of criminal complaints against Jared E. Shafer of Professional Fiduciary Services of Nevada for several violations of Nevada NRS provisions. These include: NRS 160 Veterans Guardianship Uniform Act in violation of having over five wards, violation of NRS Chapter 199 Crimes against Public Justice for preventing my father from attending hearings, failure to terminate a guardianship when his ward moved out of the state, failure to provide my father an attorney as required by your state law, verbal assault by making threats, fraudulent double billing and more. There should also be an investigation of his attorney, Alan D. Freer, for malicious billing against my father. A copy of this letter is being posted on the nonprofit website, National Association to Stop Guardian Abuse. Please take the time to read the facts as stated in this complaint. I’m filing this document on behalf of my father, a widowed 92 yr old WW2 veteran of the U.S. Army and Air Force. I have not attempted to contact you sooner because Mr. Shafer, former public guardian for Clark County, warned me that it wouldn’t do any good to write to you because your father was one of his best friends and he guaranteed you would take no action. However, after reading your website, I decided that in the best interest of my father I should contact you because I believe you are the only person in Nevada who can stop Mr. Shafer’s exploitation and abuse of my 92 year old widowed father. My mother insisted she and father move to Nevada in 2002 after a lifetime in California. Because of the early death of my brother, mom, overcome by her grief, had my father deemed incompetent by a man who was not a licensed medical doctor, which resulted in her becoming dad’s guardian. The guardianship was strictly OVER HIS PERSON. Our family knew my father was competent and we have a total of 9 evaluations from doctors in Nevada and California as well as the Department of Veterans Affairs stating my father is legally competent. A Nevada M.D. stated in her 2007 report that in her opinion no guardianship was needed. Commissioner Norheim, Mr. Shafer and attorneys Elyse Tyrell and Alan Freer arbitrarily decided it would be to their advantage to ignore all of this documentation. Mr. Shafer refuses to accept any professional opinion unless it comes from a Nevada M.D. of his choice. Shafer has stated he controls what the doctors write and requested that I not obtain any more reports. In fact, I have a report from a California M.D. issued one month ago stating my father is fully competent. We have a very interesting situation, if my father is tested in California he is competent, but when he crosses the border into Nevada he is incompetent. As you can see this set of circumstances is very harmful to my father. How would you feel if someone you loved had to live with this horrible situation? My father lives and breathes this anxiety every day of his life. Mr. Shafer has told many victim families, “I write the reports and the doctors sign them. If these doctors want to work in this state they do what I tell them.” I will supply names and telephone numbers of others who can back up this statement. After my mother’s death in November of 2009, I traveled to Henderson Nevada to visit my father, only to find he was removed from his home by an exploiter who used his state of grief to take advantage of him. This exploiter was Cathy Elliot Richardson, a receptionist at Sun City Anthem’s community center. I contacted the Clark County Guardianship Commissioner’s office. A woman gave me Mr. Shafer’s home phone number and told me he would help me. I had no idea the extent of lies and corruption that would be set my family by making that call to Mr. Shafer. Mr. Shafer told me I needed an attorney and sent me to Elyse Tyrell who later had to resign from my case because she was representing Jared Shafer at the same time she was representing me. Commissioner Jon Norheim called Tyrell’s actions a clear conflict of interest. Tyrell said when she began representing me that Mr. Shafer could rescue my father from the exploiter and he would be more than happy to turn the guardianship over to me once things were settled and my father could then return to California to be with his family, which she stated in Commissioner Norheim’s court. Everything I was told by Elyse Tyrell turned out to be a lie. Tyrell said at the beginning of her representation that I could be co-guardian but later she changed her story and told me that Mr. Shafer will never work under a co-guardianship and that if I wanted to be guardian I would have to hire ANOTHER attorney. When I petitioned for guardianship, Mr. Shafer, using Tyrell, began to fight me. Tyrell later was forced to withdraw from the case because of her conflict of interest concerning Mr. Shafer, which I mentioned above. Our relationship ended when Mr. Shafer took over father’s person and estate. Tyrell informed me I had NO rights and she was working for Jared Shafer. Tyrell’s representations were made while I was still her client. Please understand I have the ability to articulate the crimes, which have been committed against my father. Many families I’ve spoken with are afraid to come forward. This letter to you is only the beginning. I have kept every email from Tyrell and we have the hearing video of her acknowledging her conflict of interest and stepping down in court. This should be filed as an additional complaint against Tyrell. Unfortunately, Mr. Alan Freer took over and he picked up where Tyrell left off. Mr. Freer has been the author of many lies including submitted a false report to California law enforcement stating a felony arrest warrant was issued against me. In reality, it is a bench warrant for not appearing in court. During the first conversation I had with Mr. Shafer he assured me he would remain guardian only on a TEMPORARY basis, just as Tyrell had said. He actually said, “It shouldn’t be more than 3 months, maybe 6 months. I don’t like hanging on to cases like this.” During that first encounter Mr. Shafer also stated, “I don’t even have to show up in court, the judges always give me what I want.” I have placed this statement in an affidavit and submitted it to Commissioner Norheim who ignored this along with ALL other important evidence. Three months after making these statements, Mr. Shafer made it VERY clear he was NEVER going to let the guardianship out of his control and that Jon Norheim would give him whatever he wanted. Chapter 160-Veterans’ Guardianship (Uniform Act) NRS 160.040 Limitation on number of wards; exceptions. 1. Except as otherwise provided in this section, it is unlawful for any person to accept appointment as guardian of any ward if the proposed guardian is at that time acting as guardian for five wards. As you will discover, Mr. Shafer at the time of his guardianship appointment over my father had more than 5 wards and he knew and discussed with me about my father being a veteran. Even if this statute has been recently amended to 10 wards, Mr. Shafer is still in violation. We have the transcript and the hearing video of Commissioner Norheim REFUSING to follow this statute because as he stated, “After all, how could the guardians earn a living if they were limited to a number of wards?” This is an outrage for a judge to favor the career of any guardian rather than protect the veteran by blatantly violating a Nevada statute. This was proof of Mr. Shafer’s statement of having influence over Commissioner Norheim. During this Chapter 160 hearing my father told the court he was going to California and no one was going to stop him. The court ignored him, Mr. Freer laughed openly at him. My father has no reason to remain in Nevada after the death of his wife; he has no other family or friends in Nevada. I am his only living child. He does not want to be alone in Nevada. He came back to California with my husband and me after this hearing where his rights were violated and he was laughed at by Alan Freer and Jared Shafer. My father has been a resident and citizen of California for 14 months. He has a California ID. The VA not only acknowledges his California residency but also his competency and their doctors state he REQUIRES NO FIDUCIARY. He receives all his VA benefits here in California due to his physical disabilities. Mr. Shafer said he plans to starve my father into returning to Nevada. The VA is on the alert in the event Mr. Shafer tries to interfere with my father’s VA benefits again. When my father returned to California, he was able to receive his carpenter’s pensions and Social Security again. But Mr. Shafer’s attorney, Mr. Freer, lied about me and my father to Social Security, the VA and the carpenter pension trusts. He said my father was incompetent, not true. He said I had an arrest warrant for felony kidnapping, not true. He said that I was receiving my father’s Social Security and carpenter monies, not true. Because of these lies to the carpenter’s trust, Mr. Freer is directly responsible for creating a federal interpleader case in L.A., which named my father, Mr. Shafer and myself as defendants. Again my father worries about this daily. This has created significant stress upon my father who asks me when Mr. Shafer will leave him alone. Mr. Shafer said he would do what he can to cost my father more money. An additional $10,000 has been billed against my father due to Mr. Shafer’s actions. Mr. Shafer has said he will use my father’s money until nothing is left. Another example of Mr. Shafer’s conduct was the removal of $12,000 from my father’s trust to pay an attorney in our county who did nothing but try to enforce a bench warrant. The warrant was never transferred, which was a needless waste of money. This is a travesty of massive guardian abuse. Mr. Shafer froze my father’s Wells Fargo checking account when he moved to California. Eve Mills, who represents Wells Fargo for the Trust, is allowing Mr. Shafer to over bill and double bill the estate. Ms. Mills has also provided false statements about me to the court. This is interesting since she told after my mother’s death, she told me “I’m here to protect your parent’s trust.” She has not done this. Our attorneys have filed complaints to Wells Fargo Corporate and Comptroller of Currency. Mills accused me of being responsible for my father’s depleted trust funds because “Mr. Shafer has to defend himself.” My father has no access to his Wells Fargo accounts, his Social Security or his carpenter pensions. This is Mr. Shafer’s attempt to “starve out” my father and steal from him. Mr. Shafer has refused to account for a year’s worth of Social Security and carpenter pension funds that he received on my father’s behalf. These funds DID NOT go into my father’s trust or checking account. Mr. Shafer has double billed for the Grunsky Law Firm in California. This payment has been approved and paid by Eve Mills from the trust, yet Mr. Shafer recently submitted the billing to the court as if this had not been paid. Despite my father’s attorney filing an opposition to these payments, Jon Norheim granted Shafer’s petition for double billing and bogus billing. Norheim AGAIN did what Shafer told him to do. There is no logical reason why this guardianship should be allowed to continue. Mr. Shafer states he is protecting my father from me. This is what he tells ALL the victims families I’ve spoken with who want to care for their loved ones. I respectfully ask you to protect my father from Mr. Shafer. He is the exploiter and lawbreaker, backed up by a flawed color of authority through Commissioner Jon Norheim. Mr. Shafer states he does everything in the best interest of my father but in reality it is in his best interest. How is it in the best interest of a widowed 92 yr old World War II veteran to be forced to stay in Nevada with no friends or family after the death of his wife when he has a loving family and friends in California who want to care for him? How is it in my father’s best interest for Mr. Shafer to have billed my father’s estate over $7200 a month for a live in caregiver who was not a friend or family member when my father could have been living with family in California without that extravagant expense? How is it in my father’s best interest for Mr. Shafer to deplete my father’s trust from $466,000 to less than half of that value in less than 2 years? Jared Shafer uses my father as a cash cow to feed his needs and those of his attorneys and associates. Jared Shafer and Jon Norheim have violated my father’s constitutional rights—never providing him with an attorney, preventing him from attending his own hearings, refusing his wishes to go back to California, having the Senior Citizen Law Project lie to the court about what my father said, denying him evidentiary hearings, providing no financial accounting for the excessive, bogus and double billings, violating NRS Chapters 160 and 199, threatening our friends, lying in documents, the list goes on and on. Commissioner Norheim does not read the documentation submitted to him; he has referred to my father as a woman, stated he was living in a facility, placed into the court record the wrong age for my father, and stated my father didn’t want to be with me. This has been the mantra of Commissioner Norheim, Jared Shafer and attorneys Alan Freer and Elyse Tyrell, that my father did not want to be with me, which is the biggest lie of all. We have several doctors who will testify to my father saying he wants to live with my husband and me. The incompetence demonstrated and the violations imposed upon my father by Commissioner Norheim is mind-boggling. A friend has submitted a report on Commissioner Jon Norheim to the Nevada Commission on Judicial Discipline. Jared Shafer is backed by a group of enablers including, but not limited to: Elyse Tyrell, Alan Freer, and Patience Bristol. These individuals have assisted in this unwarranted abuse against my father. They have consistently distorted documents and facts to their advantage. They have dehumanized my father, an honored WW2 veteran of the U.S. Army and Air Force. We have reported Mr. Shafer and his activities to Social Security for fraud, requested his accountability, reported his activities to Medicare for bogus medical billings my father did not have with a clinic, reported his abuse to the Veteran’s Administration for exploitation dad’s benefits, reported him to the IRS for double billing and bogus billing, reported him to the US Attorney for violations of Social Security fraud and civil rights and reported this guardian to the FBI for all of the crimes committed against my father as written in this document. Contact with these federal agencies is ongoing. You should know that we had very close friends who were assisting us with our legal battle. They stopped helping us because they say they were approached by someone who works for Jared Shafer and were told that if they didn’t back off very bad things might happen to them. Mr. Shafer has also threatened other people who fight his corrupt guardianships and I have witnesses to testify to this. From what I understand, guardians who are granted authority over a ward’s estate are required by state law to file an annual accounting of the ward’s finances if the ward’s assets exceed $5,000, but Mr. Shafer has not done this and we demand a forensic accounting from a source not located in Nevada to do this. We have heard he NEVER submits accounting. We have documents, videos, reports and many reputable witnesses available to you to support all of the allegations stated in this letter. 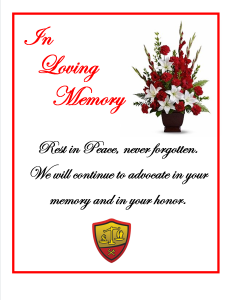 We have followed all the rules, filed the correct documents, used several attorneys, but there is no justice or law in the Clark County Family Court in Las Vegas. There are many other victims of Jared Shafer and Commissioner Jon Norheim’s Kangaroo Court. The Internet has over 100 articles, Blogs and reports from various sites of Mr. Shafer’s abuses and their additional reports about his circle of enablers. Nevada is looking VERY bad. Something must be done to free my father and prevent further abuse to other seniors, veterans, and disabled people who live in Nevada. If you are able to help my father, thousands, if not millions, of readers who are looking for hope in exposing this injustice to our seniors and other vulnerable citizens of our society, will read about your actions. My father respectfully asks for your help by having this travesty of an unnecessary, exploitive and abusive guardianship terminated. Yes, ABUSIVE. My father is suffering from anger and depression from all this horrible injustice. If he were incompetent as Mr. Shafer claims, he would not be upset about Jared Shafer’s consistent abuse. We are NOT going away. This guardianship MUST be terminated. April 15, 2015, the Las Vegas Review Journal published, “The Power to Help: The Power to Abuse“ by investigative reporter Colton Lochhead. Guadalupe Olvera’s picture was on the front page of the Review Journal and his case was featured in the expose. August 2016: For the first time ever, guardianship abuse is the subject of a political ad. See Veteran Lupe Olvera (now deceased) and the unlawful and abusive guardianship which plagued the end of his life featured in the political ad which ran against Cathleen Cortez Masto during the 2016 election year.